Stop, look and listen…listen to the kids you’re with this week at school, in camp, at home or at vacation destinations. Do they seem moody? If the answer’s yes, maybe you need to help them cook up some comfort to manage their moodiness. 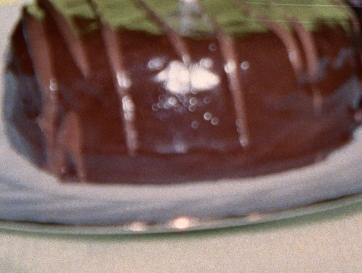 Oh, this chocolate pastry looks so tasty! COOKIN’ UP COMFORT – We can’t always do that literally, although it’s so fun when we can, but you can help kids de-funk and develop a taste for writing and art by inviting them to cook up comfort in an illustrated essay or poem. The Attention-ology trick here (best-suited for children in grades 3 – 5) is in the question-packed introduction to this activity. By now the kids’ mouths are watering; it’s time to ask the final two lead-in Qs. You say, “Everyone has a favorite “comfort” food, right.? What’s yours?” At this point you can choose to invite answers out loud, but the goal is to stage some quiet, private writing and illustration time when each child describes his or her favorite comfort food on paper. Encourage the kids to express through their writing and art when they find themselves hungry for comfort. Reading their work will give you insight into their individual concerns and needs. Kids’ writing and illustrations are windows into their minds and hearts. Looking through those windows can help you manage their moodiness. In a blog I posted a few weeks ago (visit http://goo.gl/S5sgj) I noted the fact that color captures children’s attention. Color also expresses mood. Here’s another attention-getting activity for managing moodiness, one that’s perfect for a rainy day when disappointment reigns because outdoor plans have been cancelled. Next step…ask the kids if they have a favorite color; we know that most everyone does. What makes your favorite color special? Go on to tell the kids that people associate colors with all kinds of things. 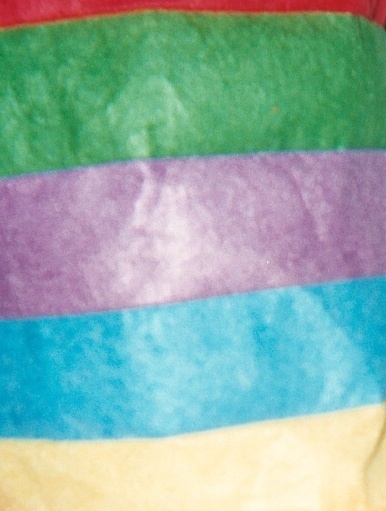 Point to something that displays a range of colors, like the fabric in my blog pic here and allow time for kids to say aloud what colors are special to them and why. Experienced teachers know that moodiness in children is often rooted in worry. One way to help kids deal with worry is to invite them to describe that difficult feeling as a color. “If worry were a color, I think it would be unmistakably grey,” you might say. Ask your kids what they think to continue the conversation. You can turn your class discussion into another writing activity by giving your kids sheets of pre-printed paper that lists colors. Leave space between each color for them to write about their personal color associations. In one of the classes where I played my Crazy About Color game an eight-year old girl wrote a poem about yellow. Feel free to share it. 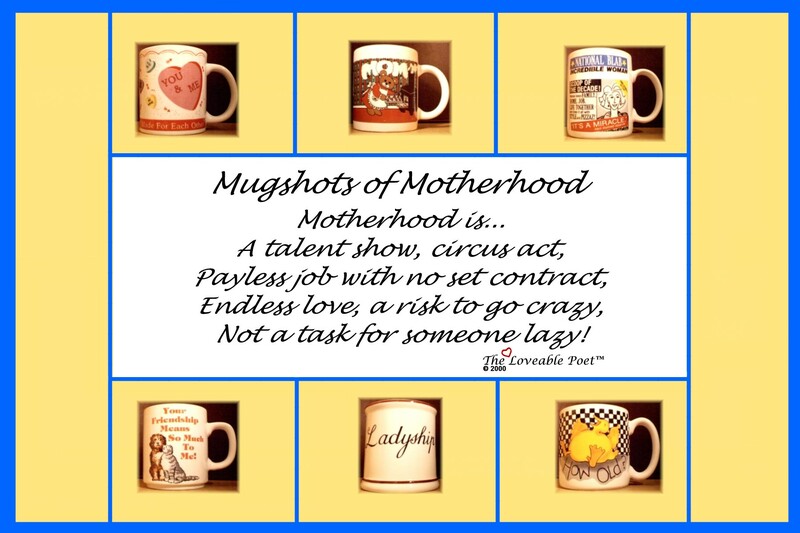 For all the dads who wear a teacher’s hat too, I invite you to send Mugshots of Fatherhood to share with my blog readers, now in 82 countries around the world.